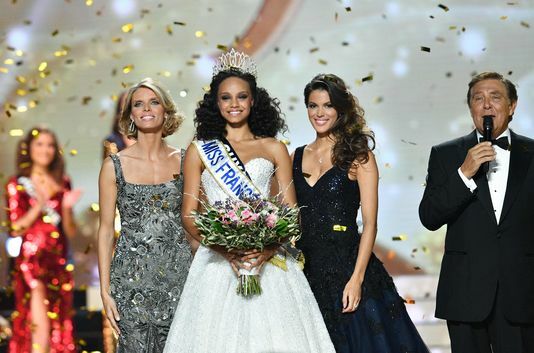 18 year old Alicia Aylies was crowned Miss France 2017 at the conclusion of the annual extravaganza to find the most beautiful young woman in France. The 1.78m beauty will represent her country at the next Miss Universe and/or Miss World Pageants in 2017. The first runner-up was Aurore Kichenin (23), Miss Languedoc-Roussillon. 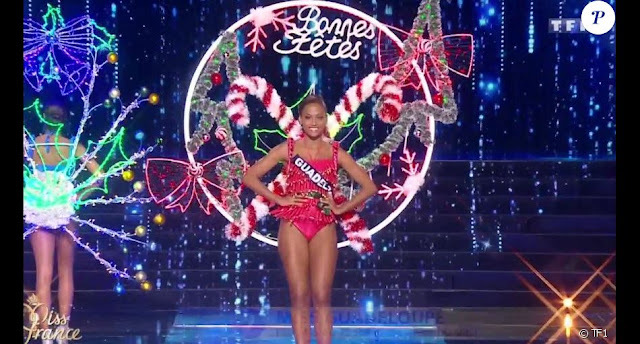 She stands 1.73m tall and might be called upon to represent France at one of the international pageant should the new Miss France be unable to attend like this year. 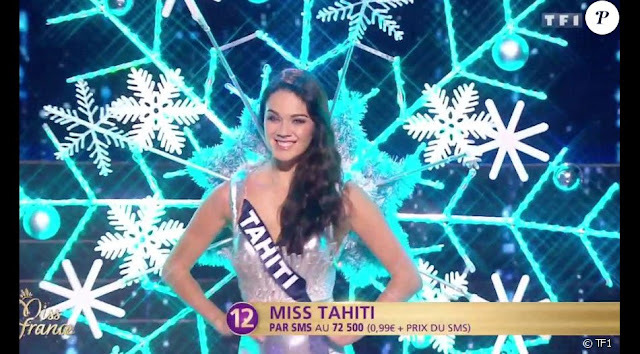 Miss Tahiti, Vaea Ferrand finished as the second runner-up. The top 5 were completed by third runner-up, Miss Guadeloupe, Morgane Theresin, and Miss Lorraine, Justine Kamara. The delegates from Reunion, Bretagne, Picardie, Alsace, Ile-de-France, Aquitaine and Normandie completed the top 12. Gorgeous winner. Reminds me of Vanessa Williams. One of the most beautiful top 5's in the history of Miss France. Looks like it could have been a Miss World or Miss Universe top 5.